The new Homewood Suites by Hilton Cleveland-Beachwood hotel in Beachwood, Ohio is located is located 20 minutes from Cleveland Hopkins International Airport and beautiful downtown Cleveland, Ohio. We are situated near I-271 in the heart of an amazing selection of shopping, dining and local attractions and activities. Cleveland and its suburbs are well known for the Rock 'n Roll Hall of Fame and Museum, Great Lakes Science Museum, Natural History Museum, Legacy Village, Beachwood Place Mall, and many other family attractions, like Wildwater Kingdom. When you stay at the Homewood Suites Cleveland-Beachwood hotel, you can also experience: Playhouse Square, Warehouse District, Golfing, Progressive Field home of the Cleveland Indians, Quicken Loans Arena Home of the Cleveland Cavaliers, Browns Stadium home of the Cleveland Browns, Eastlake County Captains minor league baseball, Aurora Farms Premium Outlets. 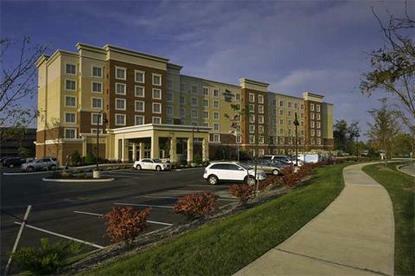 The Homewood Suites by Hilton Cleveland-Beachwood, Ohio hotel is also located near several corporations such as Philips Medical, Progressive Insurance, Cleveland Clinic, General Electric, and many more. The hotel is adjacent to local shopping and a number of great dining establishments. Start each morning with our complimentary Suite Start hot breakfast featuring a deluxe selection of your favorite breakfast items. Monday through Thursday we invite our guests to wind down at our Welcome Home reception featuring light dinner fare and beverages. Hilton HHonors Points and Miles are awarded for all qualifying stays. We stand behind our service and quality so much that it's all backed by our Suite Assurance Guarantee. We are confident that you will enjoy your stay with us. If you are traveling for business or leisure, it will be our pleasure to serve you with the most efficient and friendly service at the Homewood Suites by Hilton Cleveland-Beachwood hotel. Make Yourself at Home.